TORONTO, ON – March 19, 2019 – From handbags to automobiles, today’s luxury consumers continue to demand goods that elevate their lifestyle and meet their distinct personalized needs. Lexus is no exception, raising the bar for the luxury auto industry with the brand’s no compromise approach to luxury vehicles, which includes compelling special editions, like the two headlining the Lexus exhibit at this year’s Vancouver International Auto Show – March 19-24, 2019 at the Vancouver Convention Centre West. Patrons of the auto show will stop in their tracks after catching a glimpse of the Lexus IS 300 AWD F SPORT Black Line Special Edition luxury sport sedan and LC 500 Inspiration Series prestige coupe – – and the best part is, they’ll be available to own this year. The interior of the LC 500 Inspiration Series also receives special attention. Bespoke yellow door inserts in Alcantara connect the exterior to the cabin, while the touring seats feature white semi-aniline leather with yellow stitching. That same stitching is also used on the instrument panel, console and glove box to give the entire cabin a unique look. Lexus is building 12 of these models for offer in Canada, with some already rolling into dealerships. 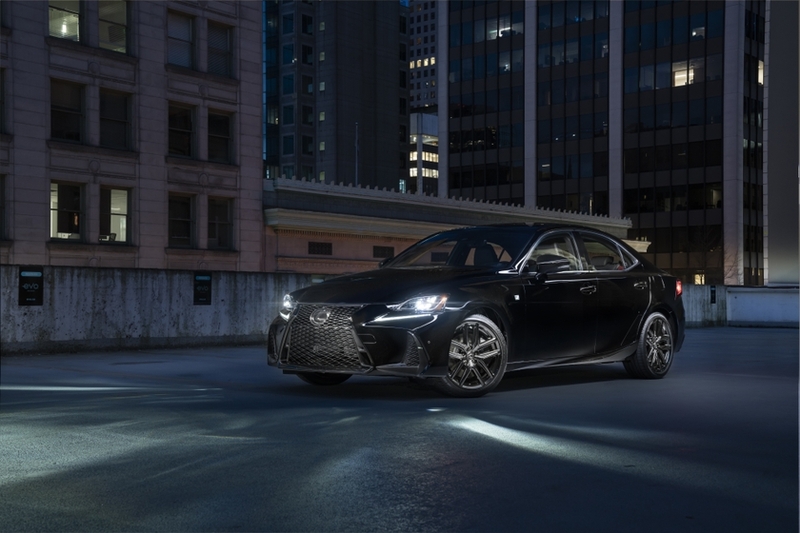 The 2019 Lexus IS 300 AWD F SPORT Black Line Special Edition is a custom interpretation of the popular luxury sports sedan. Limited to 150 vehicles available in Canada, this special edition brings together unique features and subtle styling changes. Arriving at Lexus Dealers this month, this all-wheel-drive special edition rides on 18-inch split spoke wheels featuring a Black Vapor Chrome finish, complemented by black side mirrors and triple beam LED headlamps. Three exterior colours are available: Ultra White, Atomic Silver and Obsidian (Black). Inside, the Black Line Special Edition features a heated, custom black wood-trimmed steering wheel employing ink tones from a master calligraphy house in Nara Japan with a 200 year history. Additional striking elements include black Nuluxe seats with red accents on the side bolsters and seat cushions with red accents adorning the centre stack, while contrasting red stitching makes styling pop on the seats, centre console and armrests. In addition to these unique models, Lexus continues to find other ways to meet the ever-changing needs and desires of its guests without sacrifice, such as the ongoing expansion of its portfolio of electrified vehicles, in response to rising gas prices, improved efforts towards reducing CO2 emissions and more. This line-up is headlined by the 2019 Lexus UX 250h – the newest member of the Lexus family, and the first self-charging hybrid electric in the highly competitive luxury compact crossover segment. The UX 250h is tailor made for modern urban explorers and guests at the show can experience it for themselves, by test driving one, in addition to other Lexus hybrid models such as the NX 300h and ES 300h during the show. The UX’s performance, brave styling, master craftsmanship and intuitive range of technologies keep Lexus Guests connected to the people and things that matter to them. An extensive display of luxury coupes, sedans, crossovers and SUVs – including the recently updated NX series, the long-wheelbase RX L series, and the all-new, fourth-generation ES series. 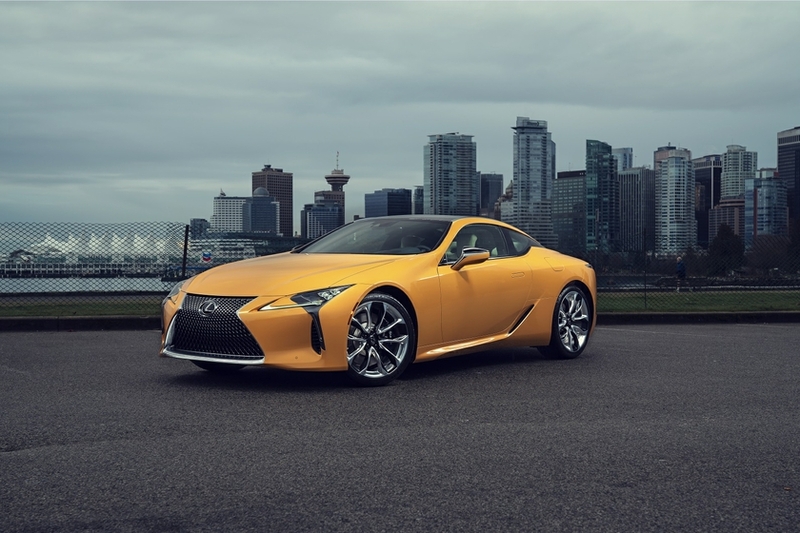 Several examples of vehicles equipped with Lexus F SPORT performance packages – available on everything from the ES, GS and LS series sedans, to the RC and LC series coupes, to the UX, NX and RX series crossovers and SUVs. The Vancouver International Auto Show takes place March 19-24, 2019 at the Vancouver Convention Centre West.